Test your General Knowledge at our annual table quiz! 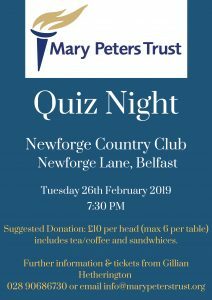 Bring your team to Newforge Country Club on Tuesday 26th February for a night of quizzing! Ticket price is £10 per person and includes tea, coffee and sandwiches.